We produce Nomex, Polyester heating, and mica heaters which are tagged as the best food warmer heating elements so far. From customized to defined, Chhaperia manufactures the product needed by the industry and installation services are available at affordable prices. Our product installation for your need enhances the satisfaction which is our fulfillment. The application for food warmers varies based on the type and usage. Nomex heater for baby food warmer has a layer of thermal and electrical insulation. Between the layers of polyester, nichrome wire is wounded in Polyester heater. This heater handles chemicals most effectively and allows for efficient thermal transfer. If you’re searching for the best food warmer heating elements, then Chhaperia provides you 100% assistance. 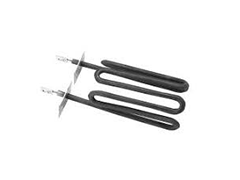 Choose the perfect heating element required and reach us. We guide you in every aspect while never missing out the quality.